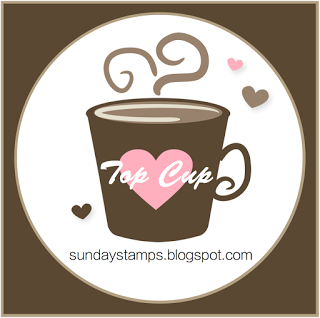 Inking on the Edge: My Favorite Things Stamps - Pure Innocence Simple Pleasures VIP Collection! 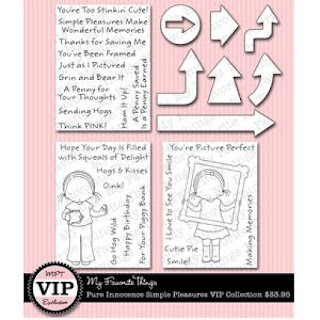 My Favorite Things Stamps - Pure Innocence Simple Pleasures VIP Collection! So for my first card, I inked up the NEW Pure Innocence Piggy Bank Stamp set....isn't she just the cutest and such a smart girl to be saving her pennies too! I coloured her with my Copics and paper pieced her out fit. 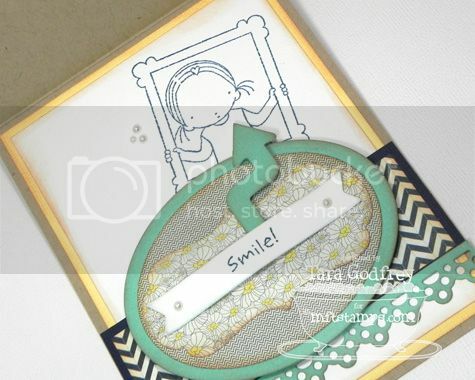 I used my BasicGrey Konnichiwa 6x6 paper pad and stamped one of the adorable sentiments form the EXCLUSIVE Simple Pleasures Sentiment Mini - it will never be offered for sale or be available again and is $9 value for FREE!!!! I stamped the sentiment on Kraft card cut with the Say What Die-namics and used one of the coordinating stamps from the Say What set too. So, I am totally loving the NEW Lead the Way Die-namics set. I love arrows and I am thrilled to have this great new collection of fun and funky arrow dies to add a great little element to a card or project! Here is the inside of my card...I stamped the PI Piggy Bank Girl again, this sentiment is from the NEW PI Piggy Bank Stamp Set and I cut another fabulous arrow from the NEW Lead the Way Die-namics. My second card is with the precious NEW Picture Perfect Stamp set and I paired her with some pretty BasicGrey PB&J 6x6 papers. 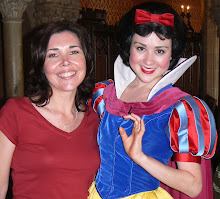 OMGosh, I love this Picture Perfect girl to bits! I coloured her with my Copics and paper pieced too. I went the extra step and paper pieced her so that it appears that you can see through the frame to the paper behind her. 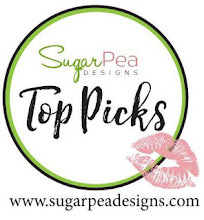 I love this fun sentiment from the EXCLUSIVE Simple Pleasures Sentiments Mini set and I used the fabulous NEW Lead the Way Die-namics again....you will be seeing a lot of fun arrows from me, that is for sure!!!! here is the inside of my card....I stamped the Picture Perfect girl again, another cute arrow (to help make the point) from the NEW Lead the Way Die-namics set and I stamped a sweet sentiment from the Picture Perfect Stamp set on white card cut with the Sentiment Strips Die-namics. Well, thank SO much for stopping by and having a wee peek at my cards with the PI Simple Pleasures VIP Collection! Now make sure you get in on this kit as there are limited quantities and you don't want to miss out! 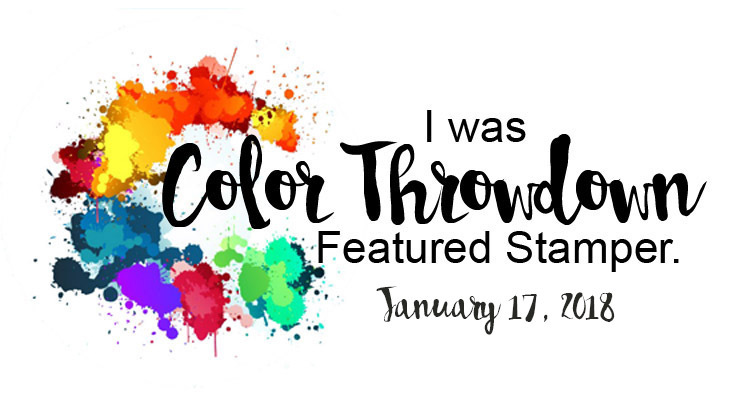 Now swing on over to Kim's Blog for links to all the MFT Designers with super cute creations with the VIP collection! OMWerd....Tara, these are darling! You have me rethinking the Basic Grey PB&J! LOVE LOVE LOVE both cards! 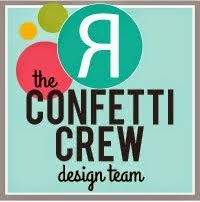 super adorable card designs, love the dp you used and the many layers....so fabulous. These are great! I love how you bring the outside of the card to the inside. I really must try that more often. Wonderful images and dies! What a way to end this little hop with these two amazing cards!!! Girl, can you craft or what!! Wow I'm speechless! These are both so amazing!!! Wow, the pink and orange card really pops of the screen, awesome cards Tara! I always love how you combine the cardstock with the dp! amazing and awesome and soooo fabulous! your paper choice is awesome. love 'em both! fabulous card, amazing paper piecing on the frame PI...you rocked it girlie! Seriously!! Can you be any more amazing? These are out of this world fabulous and I LOVE all those layered fishtails - yummo! These are ABSOLUTELY STUNNING Tara! Just incredible!! Wonderful cards Tara! Love the color combo on each card and all the paper piecing! Great cards Tara. Love the images and the sayings. The fun arrows remind me of old fashioned flow charts. Great way you incorporated them!